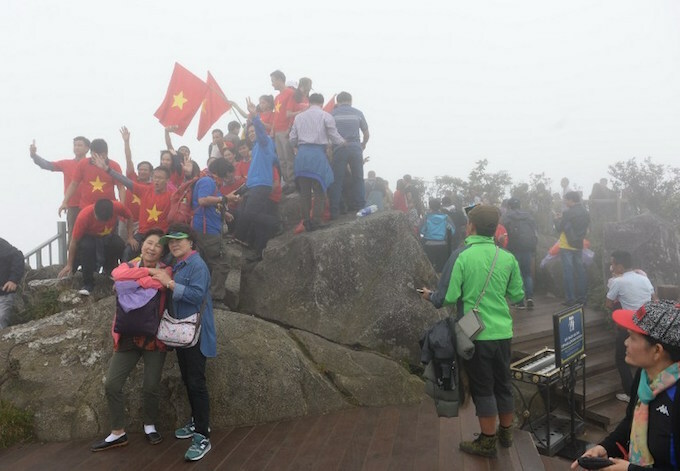 Throngs of giddy tourists wield selfie sticks on the peak of Vietnam's Fansipan Mountain. Amateur trekkers once spent two days slogging to the top for a photo of Lao Cai Province's undulating rice fields. But most in today's crowd take a 20-minute cable car to the highest peak in Indochina. Insiders say this quick ride has upended tourism in the tiny mountain resort of Sapa, where the completion of a new highway to Hanoi coincided with a boom of hotel construction. "If building continues at this rate, then one day we will lose Sapa," said Giang Thi Lang, a guide and member of the Black Hmong ethnic group. "We won't have any more mountain." 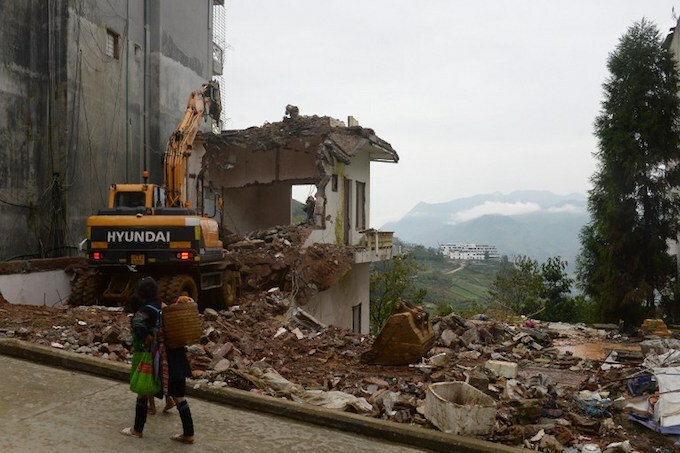 In Sapa, lots piled with rubble mark out the sites of future hotels. Way back in 2009, the misty hill station had a permanent population of just over 50,000 people. The following year, it reported 2,500 hotel rooms. Last year, it had 4,000, according to official figures. Visitor numbers snowballed too, hitting 700,000 in 2015. 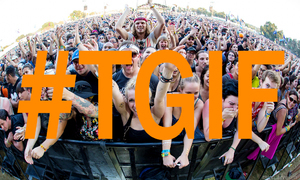 During the same period, tourism revenues tripled to yield a whopping $50 million. 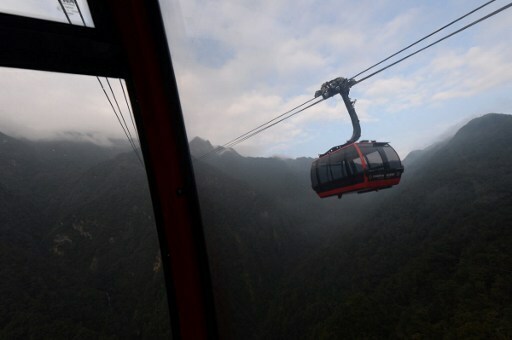 At the center of that growth lies the Fansipan Sa Pa Cable Car—the longest in the world, which launched its maiden voyage in February. The three-rope system now has the capacity to ferry 2,000 people to the mountaintop, daily. "It's good for Sapa that they've attracted more tourists," said Nguyen Van Manh, deputy director of Sapa's Tourist Information Center. "A large number of locals now have jobs." But some tell a different story. "Before the cable car, more porters in the village had regular work," said Hmong trekking guide Ma A Tro as he stood on Fansipan's summit following a two-day trip. "Now with the cable car, villagers no longer have jobs; most now work as day laborers on construction sites." The government ignored opposition to the cable car, he said, lamenting that the number of aspiring mountain climbers has dwindled since its completion. "We talked to them, but they didn't listen," he added. "The central government came and said they had to do it, so they did it." 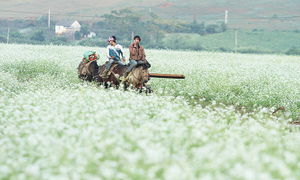 A number of tourists warn Sapa is losing its appeal. Fansipan's picturesque summit now features concrete steps, souvenir shops and several temples under-construction. 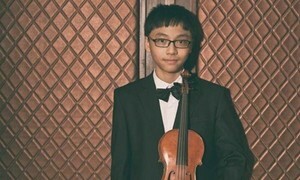 "I imagined I would get to the top and it would be really natural, but it's developed here, so for me it's a bit disappointing," said trekker Duong Hoang Minh, who hiked to the top of the 3,143-meter (10,311-foot) peak. Minh took the cable car back down to town and agreed that more people can now enjoy the mountain because of it. "For other people I think it's better because it's safer for them," said the 23-year-old teacher, his white sweatpants slicked with fresh mud. Most tourism operators agree the boom has brought much-needed development -- roads, schools and clinics, for example -- to a region where the majority of the population belongs to one of Vietnam's 53 ethnic minorities. The country's tribal communities have historically lagged behind the rest of the population in terms of income and other development indicators. Nevertheless, Hubert de Murard, manager of the Topas Ecolodge, warns that without sustainable growth, Sapa risks "shooting itself in the foot." Nestled on a hill 18 kilometers outside Sapa, the lodge's 25 white granite bungalows overlook a stunning valley lined with terraced rice fields. The lodge sourced most of its building materials and employees from the surrounding community, leading to an operation that seeks a certain harmony with the surrounding environment -- a business model de Murard says he'd like to see newcomers adopt. He worries that some investments have been short-sighted, aimed at maximizing the number of visitors. "For a natural destination like this, with a preserved environment, this would not really be good," he told AFP as the sun set over the yawning valley behind him. "We need to be a bit more careful to avoid the mistake of mass tourism in Sapa." Vietnam's tourism industry has taken off in recent years, as domestic travelers develop the budget and appetite to travel. 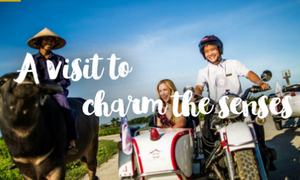 The country has also become a draw for foreign visitors turning their backs on better-known Southeast Asian destinations, in search of a road less traveled. 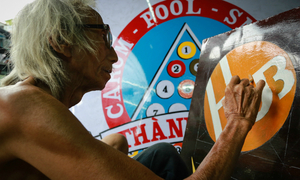 But some lament the commercialization of Vietnam's treasures. 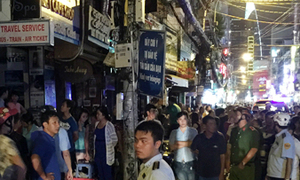 Locals have notably complained about multi-course meals served in Ha Long Bay's famous caves, or trash-strewn beaches in the resort town of Phu Quoc.